The son of a boxer, Matt Murdock was blinded by a radioactive substance that heightened his other four senses to an extraordinary degree, giving him abilities that surpass those with sight. Working as a lawyer by day and a masked vigilante by night, Daredevil serves as the protector of Hells Kitchen, solving mysteries and fighting crime. At Superheroes Direct, we provide all manner of merchandise for fans of the Man Without Fear. 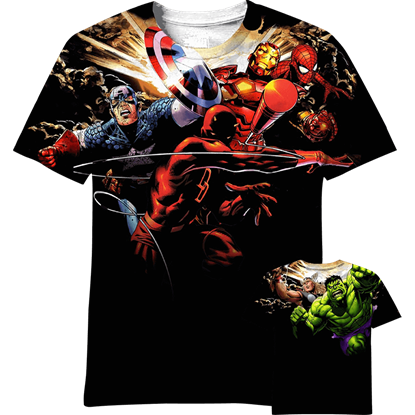 Our selection of Daredevil collectibles includes t-shirts featuring the Daredevil logo as well as a wraparound costume t-shirt for those looking to don the garb of this horned superhero. We offer POP figures depicting Daredevil from the 2015 television series, as well as other collectibles based on his classic comic book appearances. 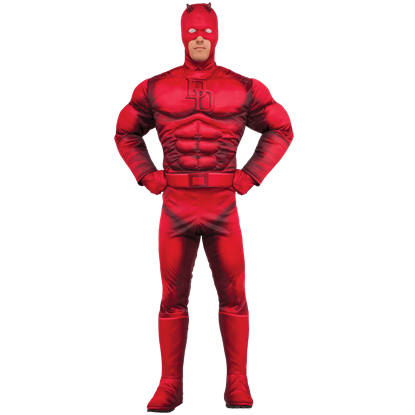 Based on the classic appearance of Marvels Man Without Fear, the Adult Deluxe Daredevil Costume features fantastic muscle padding in its deep red jumpsuit, embellished by subtly printed details, boot tops, gloves, and a mask. Our favorite comic book heroes inspire us to stand up for justice and to do the right thing. With the Battle Ready Wraparound T-Shirt, you can look down at your outfit and be motivated by these do-gooders every time you wear it. In the act of avenging his fathers death, Matt Murdocks heroic alter ego Daredevil has done some sinister things to the villains of New York City. 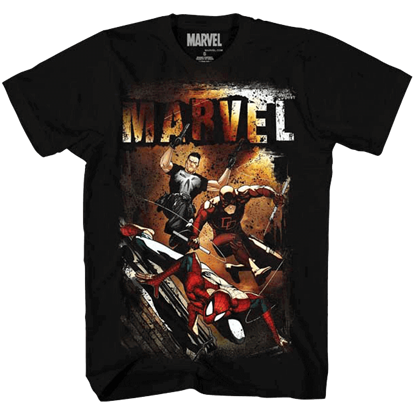 Show the dark side of this Marvel comic hero with the Dripping Daredevil Logo T-Shirt. If there is one team of heroes you do not want to cross, it is the Avengers. 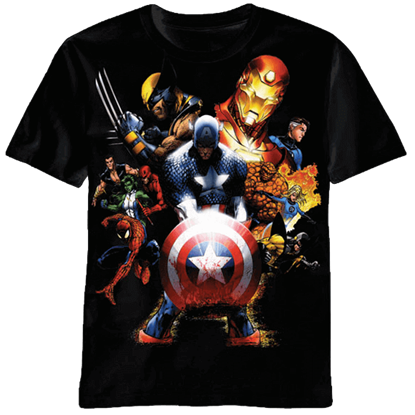 Not only do they count some of the greatest heroes as their members, but as this Ultimate Marvel Team-Up T-Shirt shows, they also have contacts with others too.